It might not be as flashy as some other bum wines, but it's time to finally induct MD 20/20 Red Grape Wine as the special Bum Wine Bob Birthday Bum Wine Of The Week! 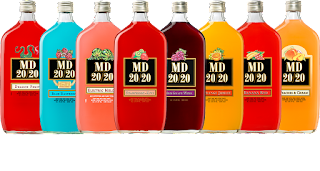 With this induction we have now officially covered and inducted all the current MD 20/20 varieties listed as available for purchase on md2020wine.com as bumwinebob.com bum wines of the week. I know there are still a few others that still might be floating around on shelves, but this is the last one I have readily available to me. 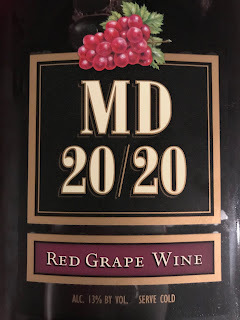 I had been holding off on MD 20/20 Red Grape Wine for awhile since it's technically a bum wine, but it's not on the same level as the other varieties of MD 20/20. There's nothing exciting about it's name or flavor. It's more like a simple table wine that got mixed up in the wrong crowd. Just imagine if Wild Irish Rose Red and the Night Train Express had a baby. 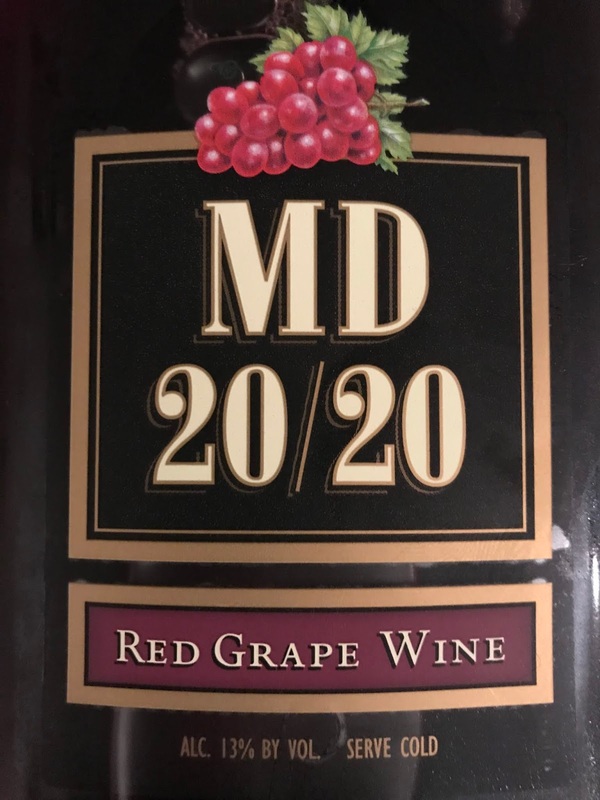 It comes in at 13% ABV and has a little bit more of a burn going down compared to over varieties of MD 20/20, but not as extreme as some of the higher alcohol content bum wines like a Night Train Express. 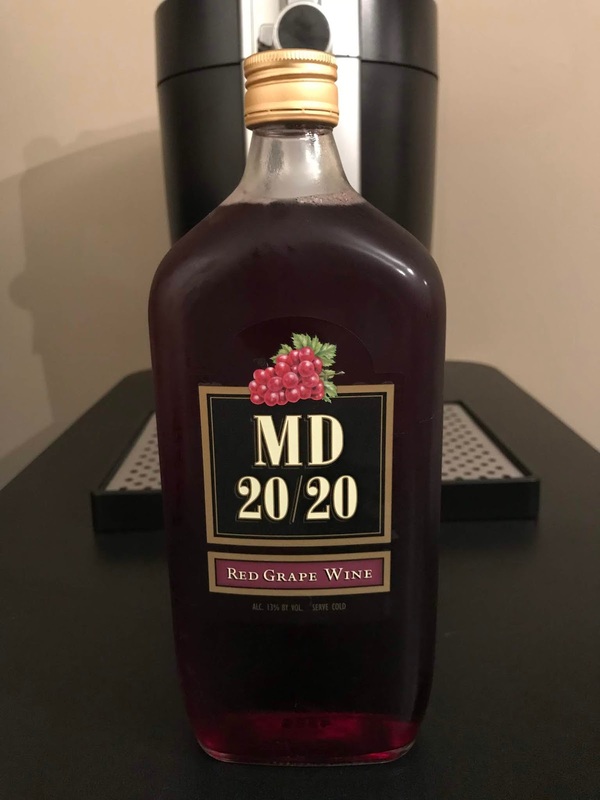 "The king of grape with rich flavors of dark fruit." 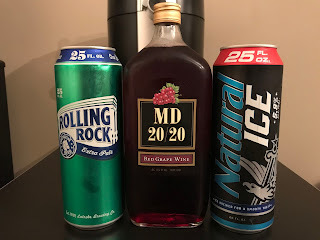 The 2018 Bum Wine Bob Birthday Trifecta! 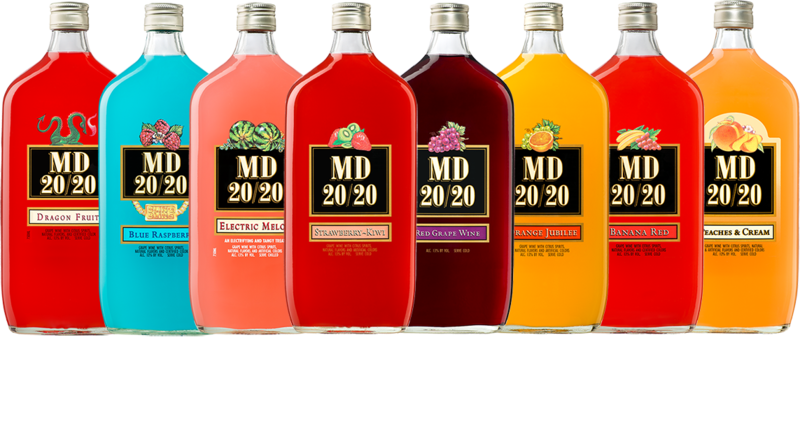 Just as we finished covering all the classic MD 20/20 varieties, word came out yesterday that the The 20/20 Wine Company has announced NEW MD 20/20 Cans! What does this mean for the bum wine world? Stay tuned for more details about these bad boys as they become available! The LIVE edition of Bumming with Bobcat is taking a short hiatus, but you can always give the podcast a listen in the archives! Make sure to subscribe on your favorite podcast apps and get the latest episode as soon as it's released! We will have some BIG NEWS coming your way in the next couple weeks about the podcast and where you will be able to tune in, and don't forget to check out the BWB 2018 NFL Season Preview post as well! In the meantime keep spreading the word and give the show a listen! Cheers!